Blue Ridge, GA was once considered an elite health resort because of its pure mineral waters. Tourists would ride the train to town, eat dinner at the Blue Ridge Hotel, and take a leisurely walk to the mineral springs after dinner. Over the years vacation rental communities with luxury cabins have become the most popular way to experience the North Georgia mountains. Today, tourists can still ride the train and take a leisurely walk along Main Street, enjoying the antique and specialty shops, galleries, restaurants and small town atmosphere. Things to do in Blue Ridge, GA.
Be our guest, come Experience everything that Blue Ridge, GA has to offer! 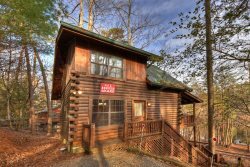 Stay a while and explore all the surrounding area and discover the many hidden gems that our North Georgia Cabin Rentals have to offer. Southern Comfort Cabin Rentals has compiled community information so that you can easily choose properties by area. Mineral Bluff - Morganton Area. East Fannin County & West Union County. This community page consists of properties and information Close to Downtown Blue Ridge and Blairsville.